North Korea is constructing a submarine that can launch nuclear missiles, imitating the stealth delivery system used by advanced nuclear powers. A U.S. government source said the communist regime was constructing its first operational submarine capable of carrying and firing intercontinental ballistic missiles, according to The Diplomat. It is unlikely that the submarine would be sophisticated enough to avoid detection, however, say analysts. The Oct. 18 report in The Diplomat says that according to their source, the new submarine has been detected by U.S. intelligence and designated as ‘Sinpo-C class’. The new submarine is diesel-electric powered with a displacement of 2,000 tons and a beam (width) of 36 feet. 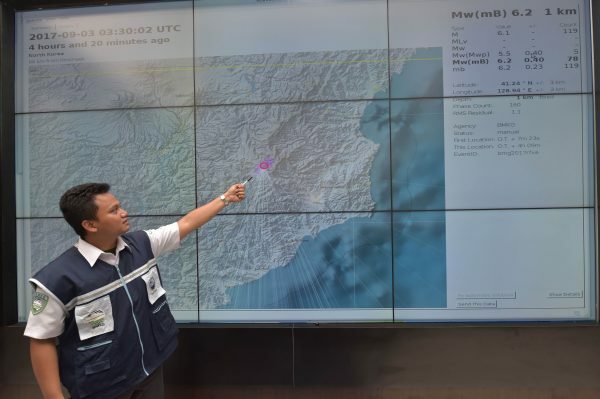 According to The Diplomat, it will carry at least one and perhaps two or more submarine-launched ballistic missiles. 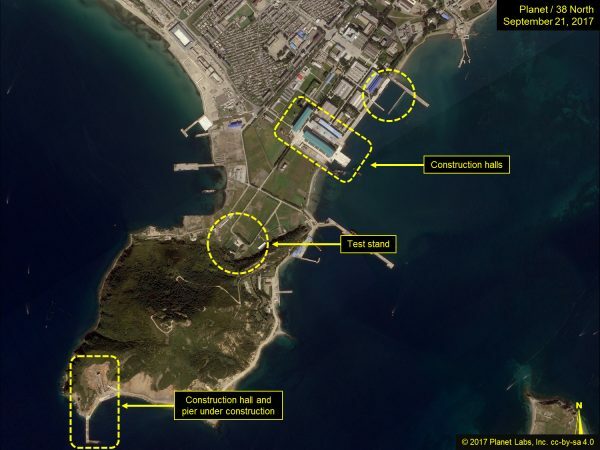 The report chimes with analysis of satellite imagery a week earlier which concluded that a ship-building programme was underway in a submarine dock. 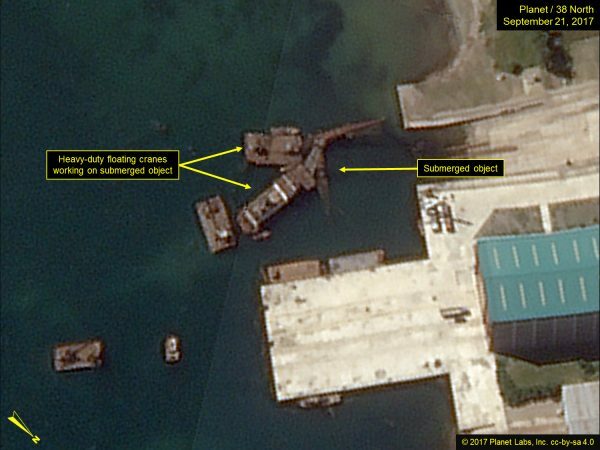 Analysing commercial satellite imagery, campaign group 38DegreesNorth detected activity at North Korea’s Sinpo South Shipyard over a period of weeks. 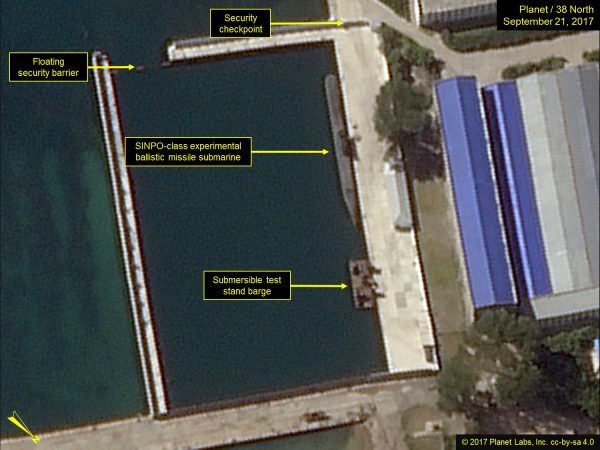 The new submarine appears to be the big brother of what North Korea calls the Gorae class submarine, which the U.S. designated as Sinpo-B class. That submarine was first picked up on satellite in 2014. 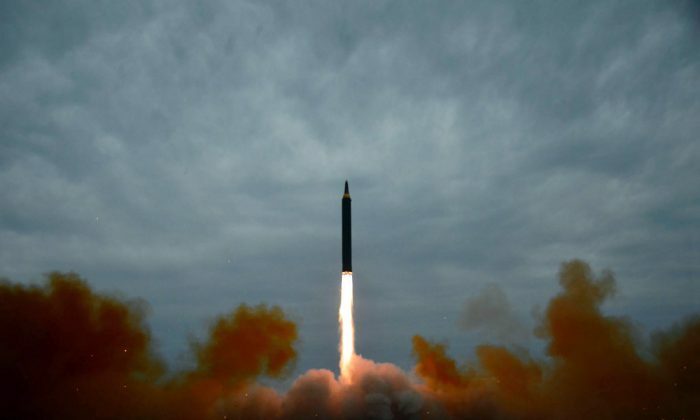 The Gorae displaces 1,700 tons and is the only North Korean sub capable of launching ballistic missiles–namely the Pukguksong-1 , a two-stage missile with an estimated range of 745 miles. A U.S. Defense Department report in 2015 states that North Korea has 70 submarines—one of the largest fleets in the world. However, these vessels are Russian-made relics of the of the Cold war era, say analysts. “Those ships are now four generations out of date and easily detectable by even the most basic anti-submarine sensors,” Kyle Mizokami, a defense and national-security analyst expert wrote in The National Interest. These submarines have been involved in a series of incidents and accidents over recent decades, suggesting problems with the ageing fleet. 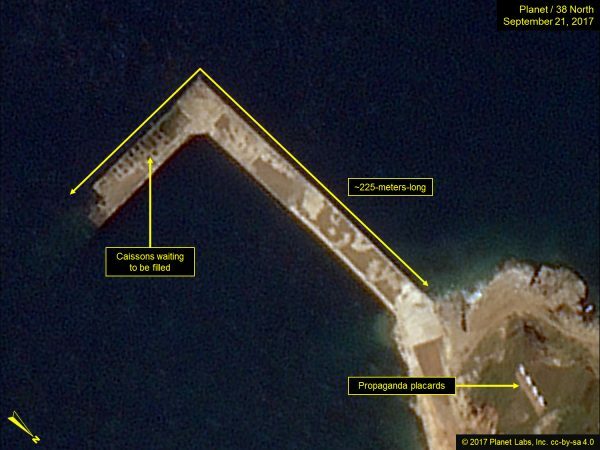 North Korea has turned to building its own submarines, but until now has yet to launch an operational sub with the ability to fire intercontinental ballistic missiles that are needed to deliver a nuclear strike. Without the experience and technology of more advanced military powers, North Korea is unlikely to be capable of constructing a sub that can evade detection. The new sub is also vulnerable since its location is known. 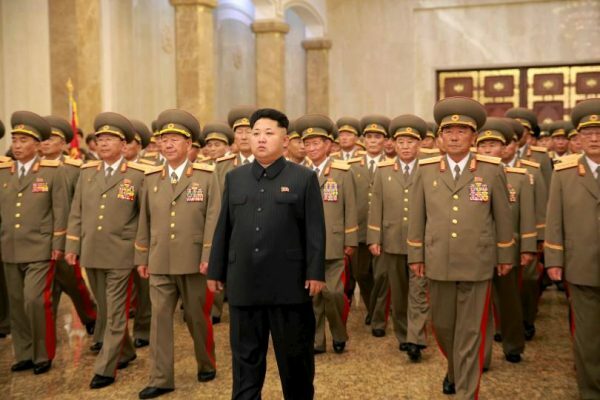 North Korea’s leader Kim Jong-Un has ratcheted up the country’s nuclear programme since he took over the reigns of the communist party and the military dictatorship from his father in 2011. Kim has conducted an estimated 85 ballistic missile tests since coming to power—far more than his father and grandfather combined. “Nothing can break the invincible faith and indomitable will of the army and people of the DPRK to surely achieve the goal of accomplishing the state nuclear force without any vacillation despite manifold hardships and ordeals,” the statement said.